The weather stayed cold but sunny, so Cheesewhiz was torn between outside and inside in her daily quest seeking comfort. Though our low dropped to -2ºF (-19ºC), we warmed quickly throughout the day to a high of 23ºF (-5ºC). With abundant sunshine and light breezes, it was a near perfect winter day. Cheoah tested several spots to see which would be the perfect place to pass the day. The deck where she can monitor every pup. After several attempts, she decided that the perfect spot was somewhere else. The couch in front of the fireplace. You probably wondered why Hu-Dad moved Throwback Thursday to Movie Memory Monday (though he didn’t remember to post it until Tuesday). The reason is that we are introducing a new feature to the blog this week – Way Back Wednesday. You may not be aware that we have well over 3000 blog posts dating back many years. We thought we would highlight the most popular posts of all times each Wednesday. This week’s post is actually the very first blog post on this blog. But, first, a little history. The post started out as a series of posts for a newsgroup called Sibernet-L. Long before Facebook, Twitter, and personal web pages, newsgroups were the way like minded people shared stories (yes, Hu-Dad is old). Several years later, Hu-Dad designed out first website by writing every piece of it in html. He did it just to learn the language and was quite surprised when people started visiting it. Then, in 2008 (yes, ten years ago), our website URL was changed to TheThunderingHerd.com and our stories were being told. 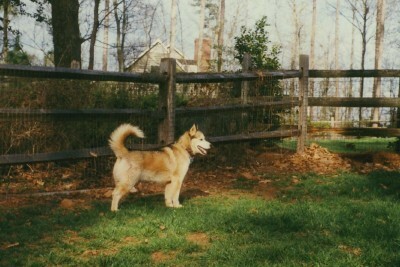 So, when Hu-Dad got his very first Siberian Husky – Nikita – back in 1993, he didn’t have a website to tell our story. Our stories were told on Sibernet-L, and this particular one has been transferred to each iteration of the website every since. Not only is it the first story (at least, the first one we have a copy of), it was also the most popular of our old posts last year. 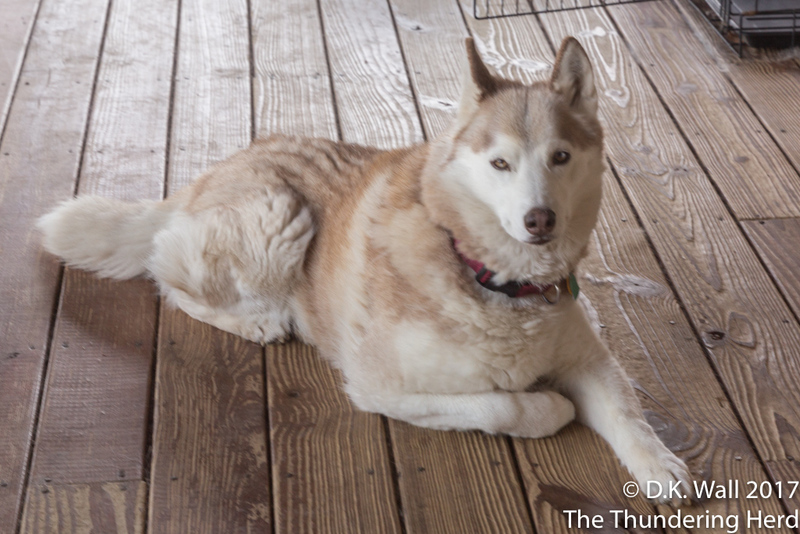 The reason for its popularity is simple – We Siberian Huskies are escape artists. Before getting his first Siberian Husky, Hu-Dad had heard the tales. 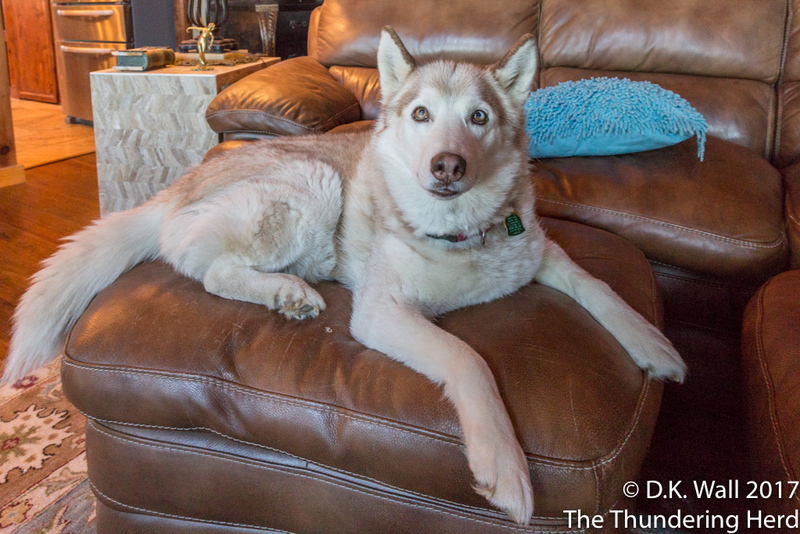 But, like most first time Siberian Husky owners, he thought they were exaggerations. Nikita’s herculean efforts at escape proved how true our reputation is. 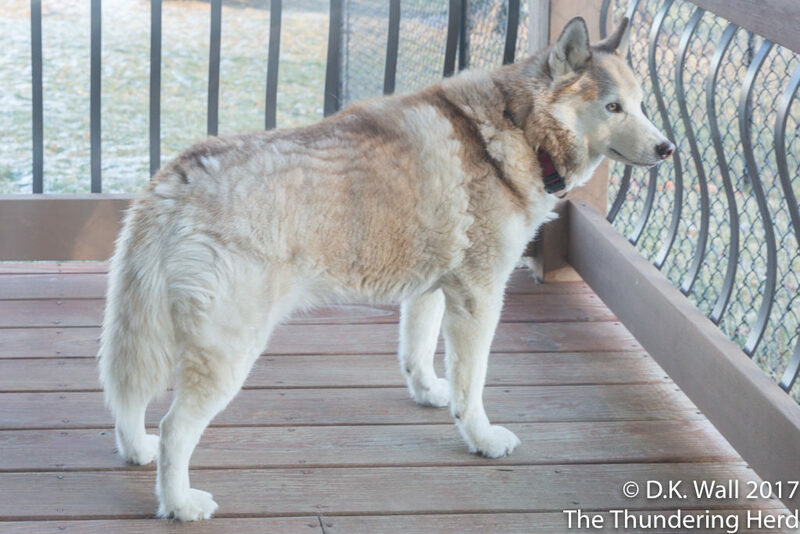 This story is also the very beginnings of the design of Sibe Quentin – our 8 foot fencing, our one foot deep trench, our dig guards, our double-locked gates, and our Hu-Dad’s rigor watching us outside. Nikita taught him well. So with this introduction, we want to introduce our new feature of Way Back Wednesday with the very first post of well over 3000 – Escape Artist. I love this idea of re sharing your old stories. Brilliant.